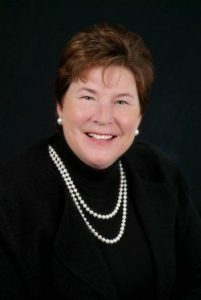 haverhillchamber.com | Haverhill business leader Sally Cerasuolo-O’Rorke was recently appointed to the Northern Essex Community College Board of Trustees by Gov. Charlie Baker. Haverhill business leader Sally Cerasuolo-O’Rorke was recently appointed to the Northern Essex Community College Board of Trustees by Gov. Charlie Baker. Haverhill business leader Sally Cerasuolo-O’Rorke was recently appointed to the Northern Essex Community College Board of Trustees by Gov. Charlie Baker.Cerasuolo-O’Rorke is the founder and president of Gold Leaf Fine Jewelry, Inc., which she established 30 years ago out of her home before expanding to its current location at 800 Broadway in Haverhill. In 1998, she was named president and CEO of the Greater Haverhill Chamber of Commerce, a position she held until 2007. She led the chamber’s “The Great Race,” doubled membership from 400 to 800, created Leadership Merrimack Valley in partnership with NECC; co-founded Team Haverhill, a community-based organization designed to grow and promote the city; and founded Winning Opportunities for Women, a chamber event that promotes women. She has also been heavily involved with the Greater Haverhill Foundation, a private economic development initiative, first as a shared executive and currently as a consultant. Today, she oversees the redevelopment of seven key parcels in downtown Haverhill for Harbor Place,” a $60 million development. Cerasuolo-O’Rorke has been the recipient of numerous awards, most recently the Greater Haverhill Chamber of Commerce Woman of the Year Award, the Haverhill Bar Association’s Liberty Bell Award, and the International Economic Association’s Outstanding Development Award.